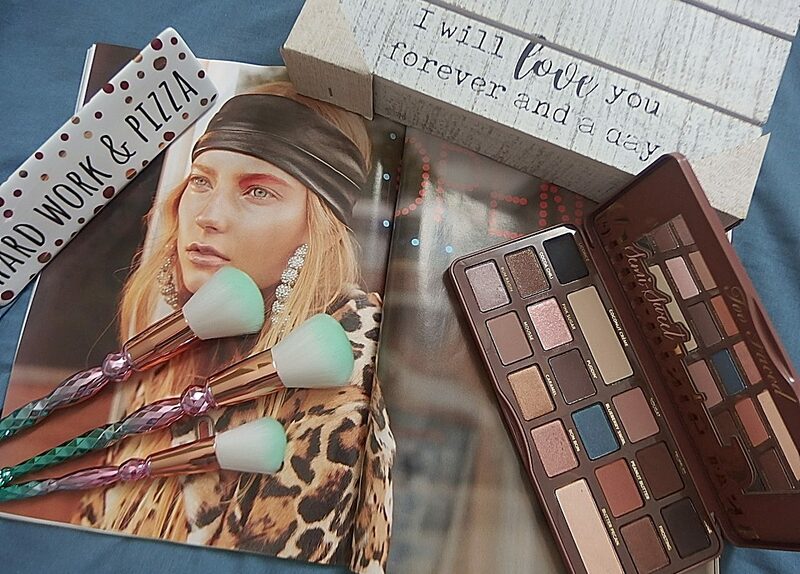 Well, since the holiday season is just around the corner, I thought of experimenting some of the festive mood eye makeup looks which I’m sure many will love. 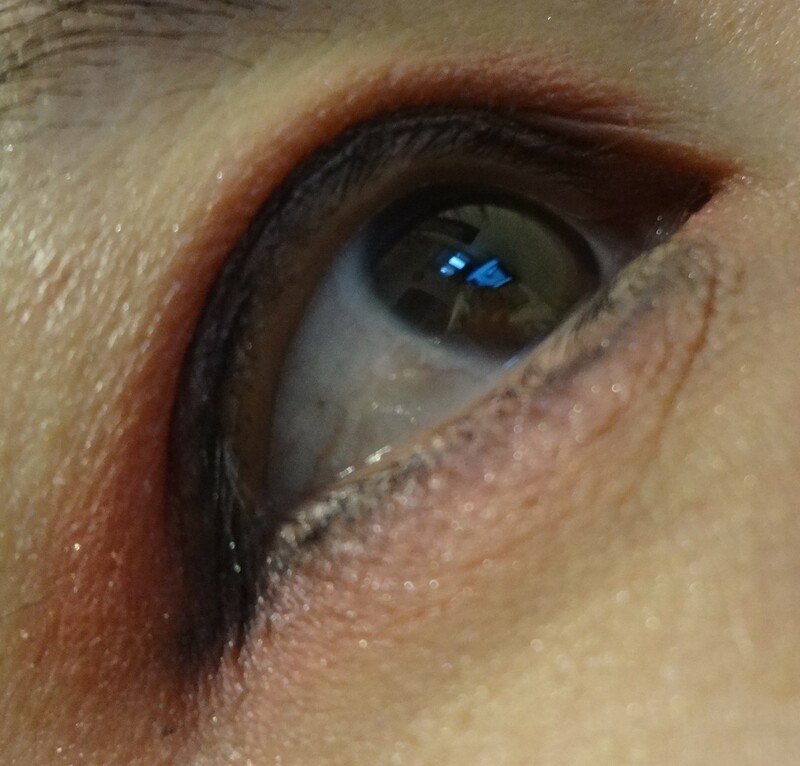 Here is the first eye look which I came up with. What do I need for this makeup look? Well, an eyeshadow from NYX, a pencil eyeliner or liquid or gel according to your preference and an eyeshadow brush. NYX eyeshadow single in ES54 in Cherry. 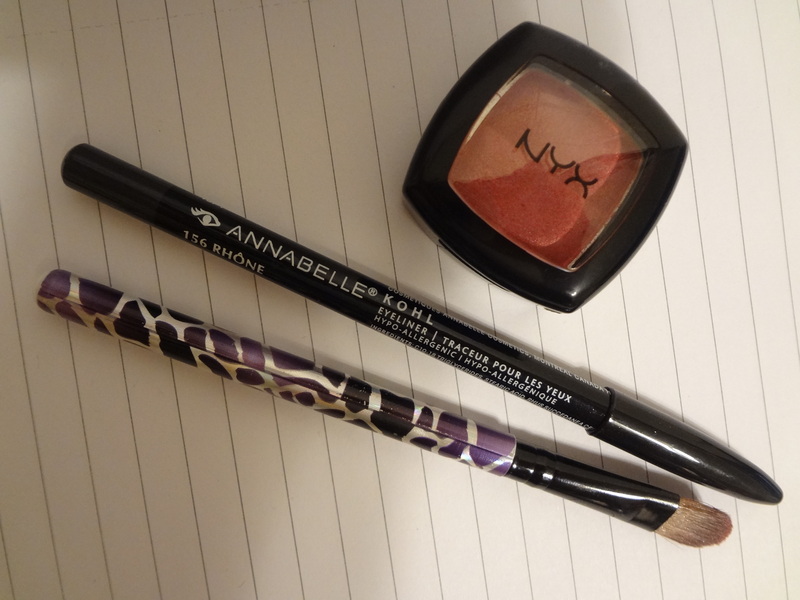 Annabelle kohl eyeliner in Dark Grey. Okay, I did my eye primer and eye concealer before dapping eyeshadows on my lids. I started off by applying my eyeliner on the upper lid and followed by the bottom. 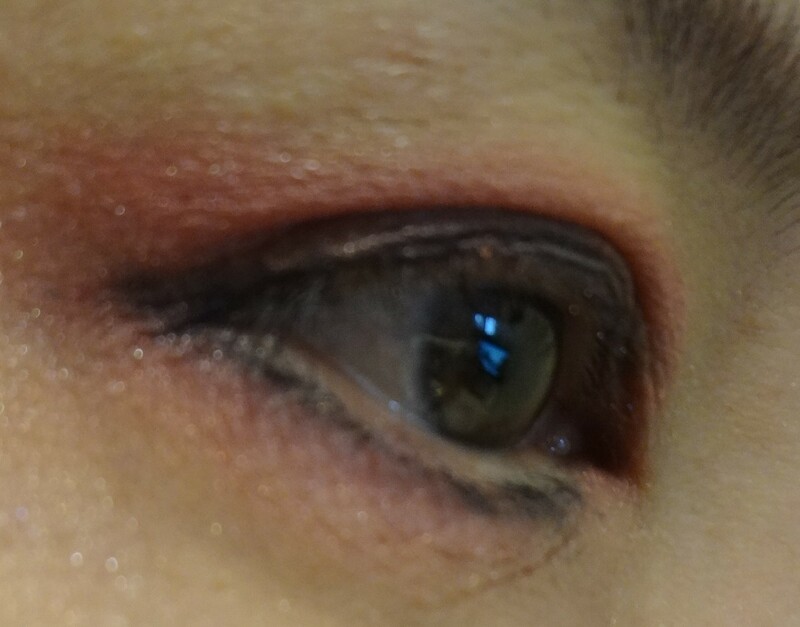 Once it’s properly done I continued applying the NYX eyeshadow in red. It has some soft shimmery finish. The texture is soft and able to let me layered up a few notch to my liking. 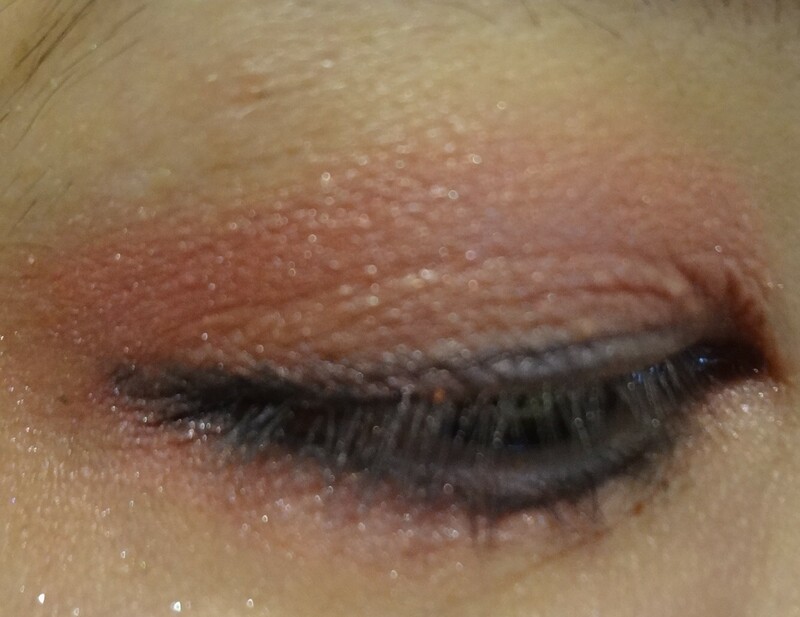 I did my red eyeshadow on the lids, crease and under the lids. This look is a red eyeshadow look that I love to do. Finishing touch by blending in with a highlighter and then curled up my lashes with a clear mascara and voila! A nice Christmas eye makeup look which I recommend you to try. Would you wear a red burgundy eyeshadow? Leave comment below. I love to hear from you. Yeh! 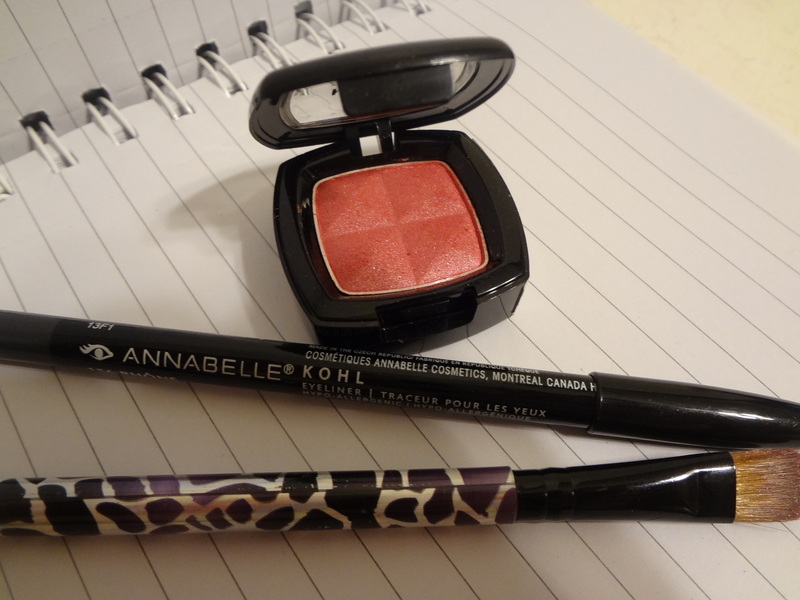 Will try red burgundy eye shadow. Was bored with always blue colour. Thanks Kelly. Glad you will try red shadows 🙂 Red is such a pretty color and so festive too.